March's library cookbook theme was Mediterranean flavors -- dishes from Italy, Spain, Turkey, Greece, and such. I thought this was a broad enough topic that cooks who wanted to push the boat out and try something new -- like a Turkish dish -- could, while those who wanted to play it "safe" with more "common" cuisines like Greek and Italian, could as well. And that's pretty much what happened! In addition to a slew of delicious Italian dishes, we also had succulent buttered apricots with walnuts from Turkey and savory pan-fried chorizo in cider from Spain. And what did I make? 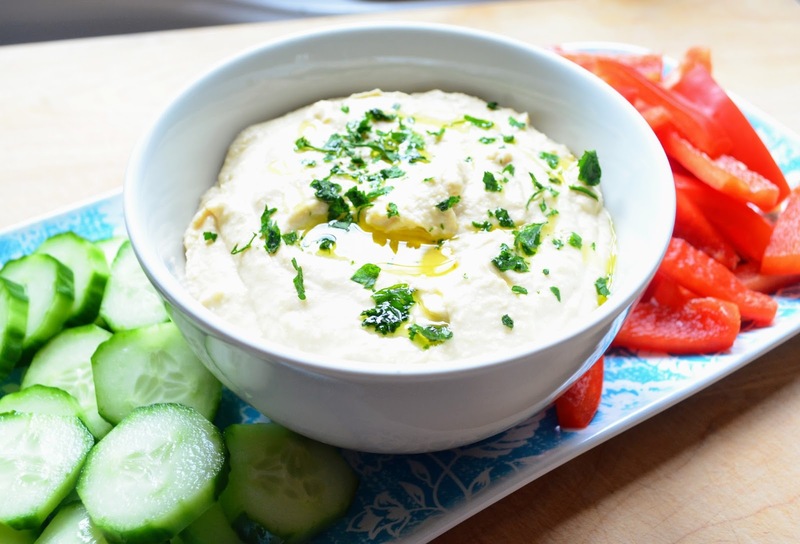 "Classic Hummus" from America's Test Kitchen's Complete Mediterranean Cookbook! Hummus is one of those things I disliked for years and then, abruptly, changed my mind about and now can't get enough of. I've often thought about making my own hummus, but 1) tahini is expensive and 2) I am lazy. But I actually had tahini in the fridge (leftover from September's beet hummus) and there are always chickpeas in the cupboard so ... hummus! Who knew it could be so easy? The most persnickety part was during prep when I had to mix the lemon juice with water in one bowl and the olive oil with tahini in another. 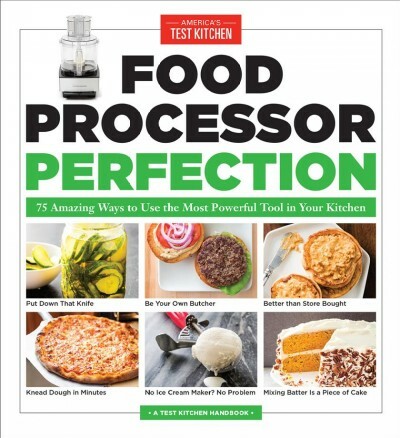 I don't understand why I couldn't just whack everything into the food processor and give it a whirl, but who am I to question the gods? Anyway, this is really good hummus -- smooth, creamy, and garlicky with a subtle lemon tang -- that I wouldn't want to mess with it. I like this hummus so much that I've made it twice since the March meeting! It's so easy & inexpensive (yes, tahini is $$ upfront, but a jar lasts a long time) and there are enough recipe variations provided that I think I shall be happy making it for quite a long time. Mind you, I did not intend to bring hummus! I intended to bring the lemony "Olive Oil-Yogurt Cake!" 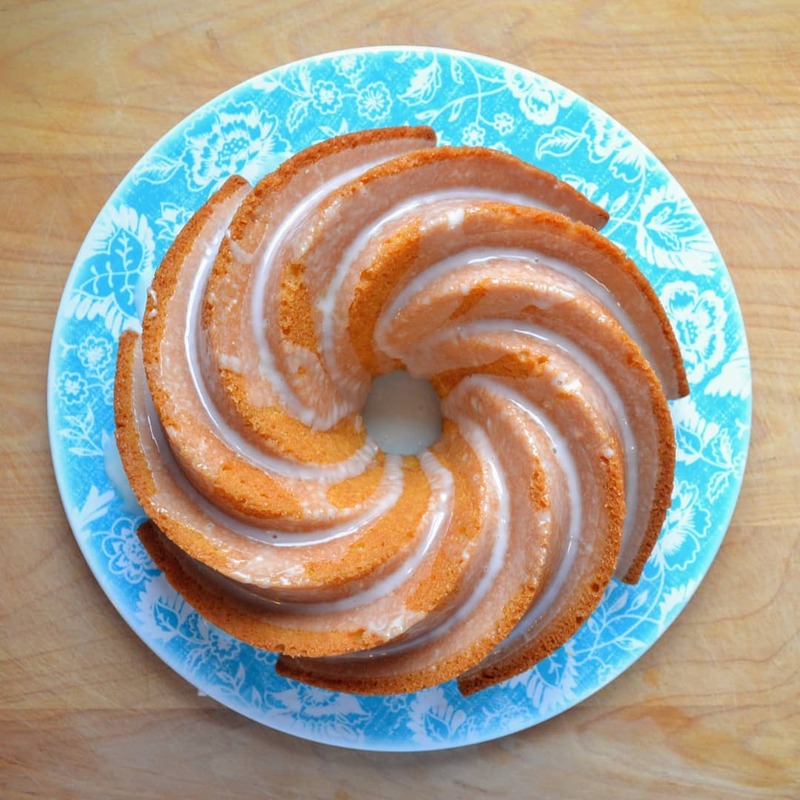 Tuesday was a snow day, so I thought I'd try the bundt cake out on The Husband and, if it worked well, I'd bring it to the meeting. Alas, it worked too well! The cake was so delicious, there was no way The Husband was going to let me part with it (admittedly, I was also loathe to give it up), but I didn't have quite enough time to bake another. 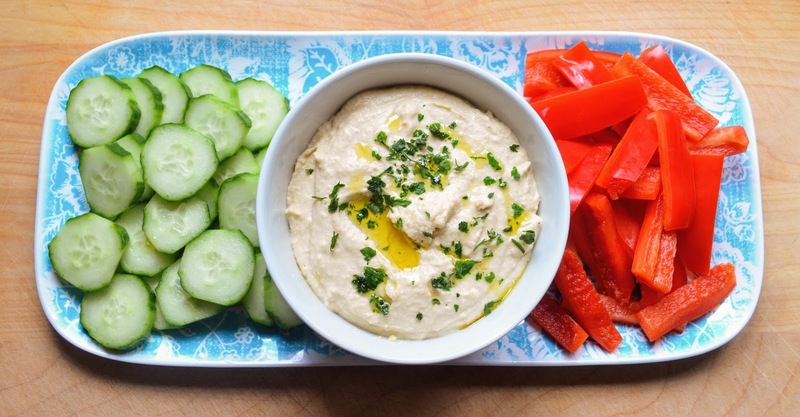 So ... hummus! But this cake. So tender. So moist. So lemony. And easy! Definitely going to bake another one soon. This was the first time I'd ever baked with olive oil and I so pleased with the experience that I went and borrowed Lisa Sheldon's Olive Oil Baking: Heart-Healthy Recipes That Increase Good cholesterol & Reduce Saturated Fats through my library system. 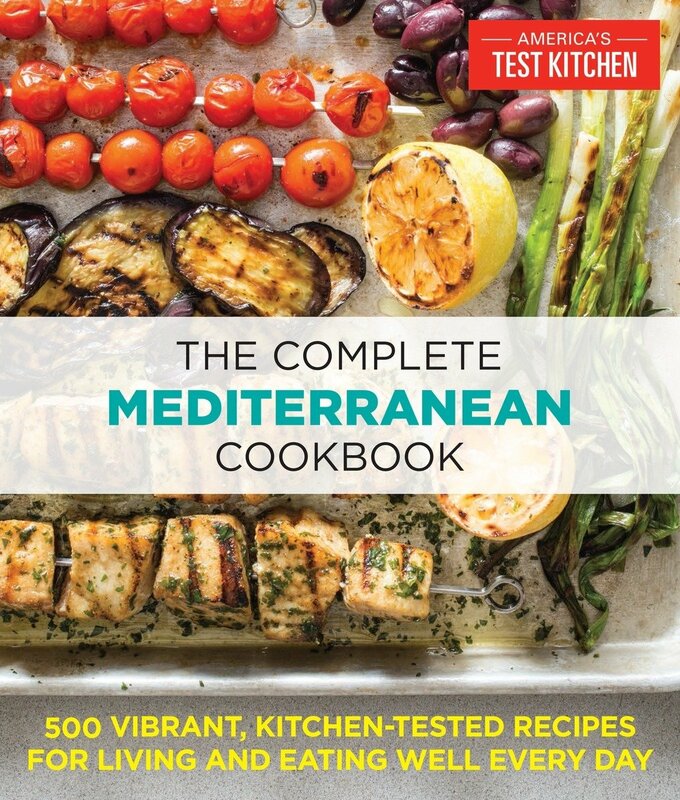 While I've told myself I ought to dial it back on Amazon purchases this year (Prime is the devil), I must admit I ended up purchasing a copy of America's Test Kitchen's Complete Mediterranean Cookbook. 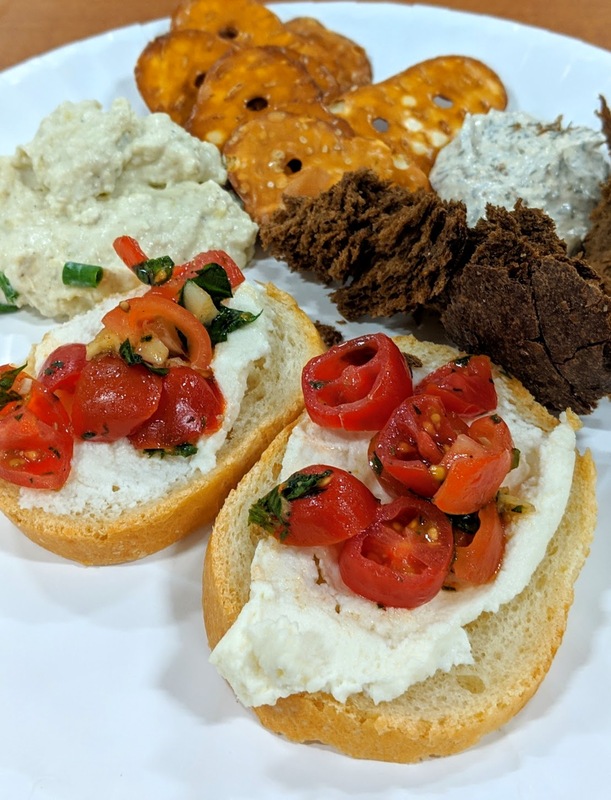 In addition to the hummus and the bundt cake, there were simply so many other recipes I wanted to try ("Braised Oxtails with White Beans, Tomatoes, and Aleppo Pepper," you're next!) that it seemed better to own a copy than keep the library's out on near permanent loan. Unsurprisingly, I own quite a few ATK cookbooks and am very well aware there tends to be overlap between books, but I did not find the "Classic Hummus" recipe repeated in any other books. There are hummus recipes, certainly, but not that one. The recipe for "Olive Oil-Yogurt Cake," however, can also be found in The Perfect Cake (which I don't own, but my library does and I am, of course, on hold for). 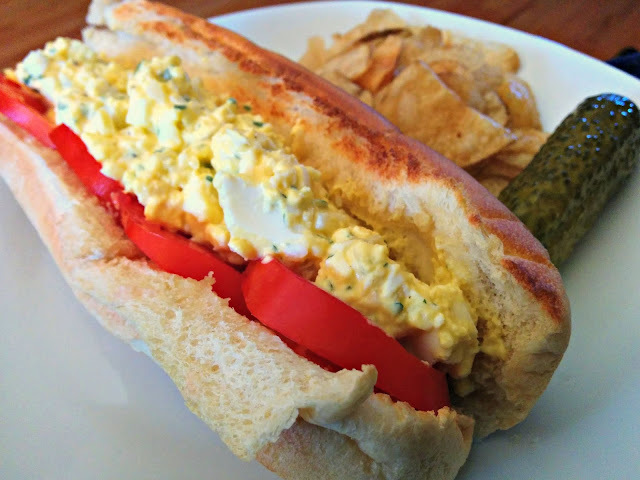 The Husband has enjoyed a brief but torrid love affair with a local deli's egg salad. I've tried, over the past six months, to return his eggy affections to our kitchen, where his gastronomic heart should rightly lie, and I've failed every time. Until Sunday. Sunday I brought out the big guns. The irresistible charm. The foolproof seducer. That's right! 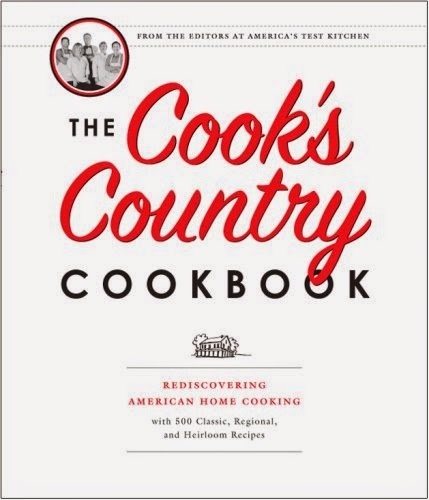 I pulled out my copy of The Cook's Country Cookbook: Rediscovering American Home Cooking with 500 Classic, Regional, and Heirloom Recipes (Boston Common Press, 2007). 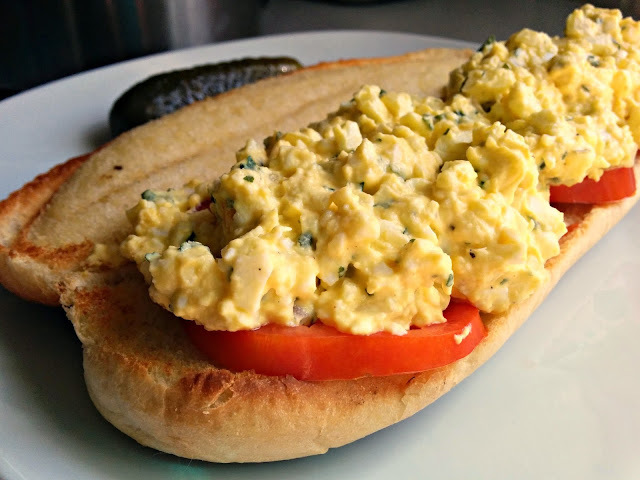 Apparently, to a man who adores a straight-forward no-frills egg salad its "Classic Egg Salad" is irresistibly delicious. The best egg salad he's ever eaten, he said. Cook's Country recommends dicing the eggs into medium-sized pieces but I stuck with my preferred mash-them-with-a-pastry-blender-until-they-look-right method. I also used dried parsley instead of fresh as I had none on hand. It all worked out deliciously and I will, obviously, be making it regularly. See this cookbook? 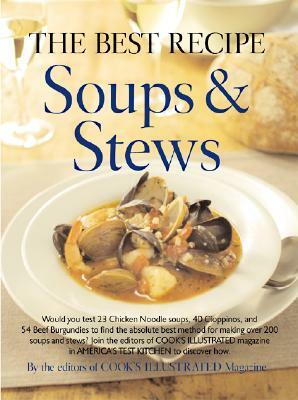 Cook's Illustrated's The Best Recipe: Soups & Stews? Owned it since 2001, but never cooked from it until yesterday. I think it is actually one of the bookstore's sorryyourpaycheckbouncedsohavesomebooks, that is how long I've owned it! Oh, the shame! The long years this poor cookbook has lurked amongst my other cookbooks, unsplattered and unsmeared. No more! The carrot soup I made -- "Pureed Curried Carrot Soup" -- was so good that I cannot wait to see what other deliciousness this cookbook has in store for me. Even though I reduced the (olive) oil to one tablespoon and used only one cup (low-fat) coconut milk, the soup was plenty flavorful. Rich, aromatic, warming, and so easy -- this is a soup I could eat every week through the fall and winter! Carrot soup might sound a bit odd in August, but I harvested carrots last week and, woo boy, did I pull a bumper crop of the orange darlings. Used to think didn't have a lot of luck with root vegetables, but I've harvested enormous carrot crops for two years running so, maybe I've been wrong. Maybe, I've just not known what I was doing? Anyway, I had a metric buttload of carrots and they needed eating up as I really had no place/way to store them for long. So ... soup!